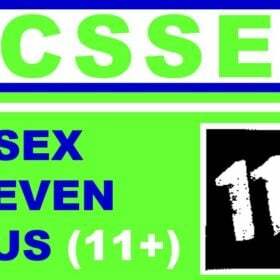 The CSSE 11+ is the 11+ testing system used by grammar schools in Essex. This means that, if you want your child to attend a grammar school in Essex, then they will have to pass the CSSE 11+. The CSSE is used to measure Year 6 students’ ability in key areas that grammar schools deem vital for them to thrive at a grammar school. 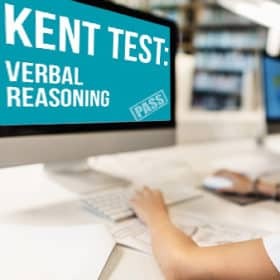 Since your child must pass the CSSE 11+ test in order to guarantee a place at the grammar school of their choice, it is vital that you help them prepare as much as possible. This carefully-crafted CSSE 11+ test practice papers guidebook is designed to provide you and your child with the resources necessary to prepare effectively for the CSSE 11+ test. Read on to find out more about the CSSE 11+ test and what it means for you as a parent or guardian. 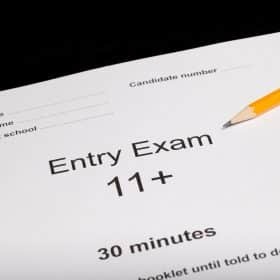 WHAT IS THE CSSE 11+ Examination? As of September 2014, the Government introduced a new and challenging 11+, which students must pass if they wish to attend grammar school. 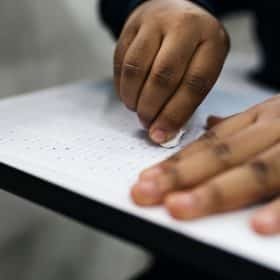 The CSSE 11+ Examination is an adopted version of the previous 11+, which assesses abilities in numerical and literary understanding. 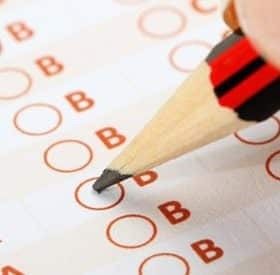 The CSSE 11+ Examination has been modified to ensure that all students, no matter what their background, have a fair and equal chance of passing the test. The CSSE 11+ Examination is designed to assess whether grammar school is a suitable choice for pupils who wish to attend. 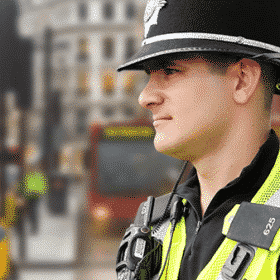 The CSSE 11+ Essex Test can be incredibly challenging, but that doesn’t mean it can’t be overcome. 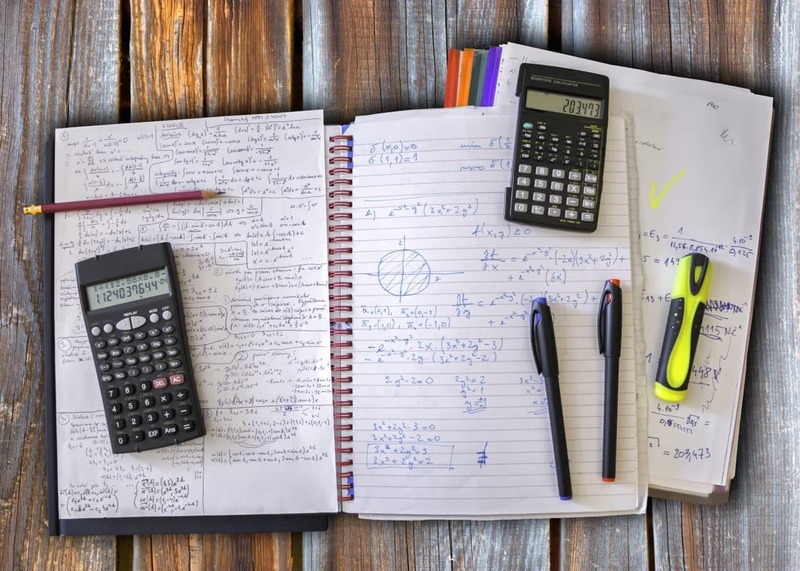 At How2Become, we believe that preparation is the key to success at 11+ level. 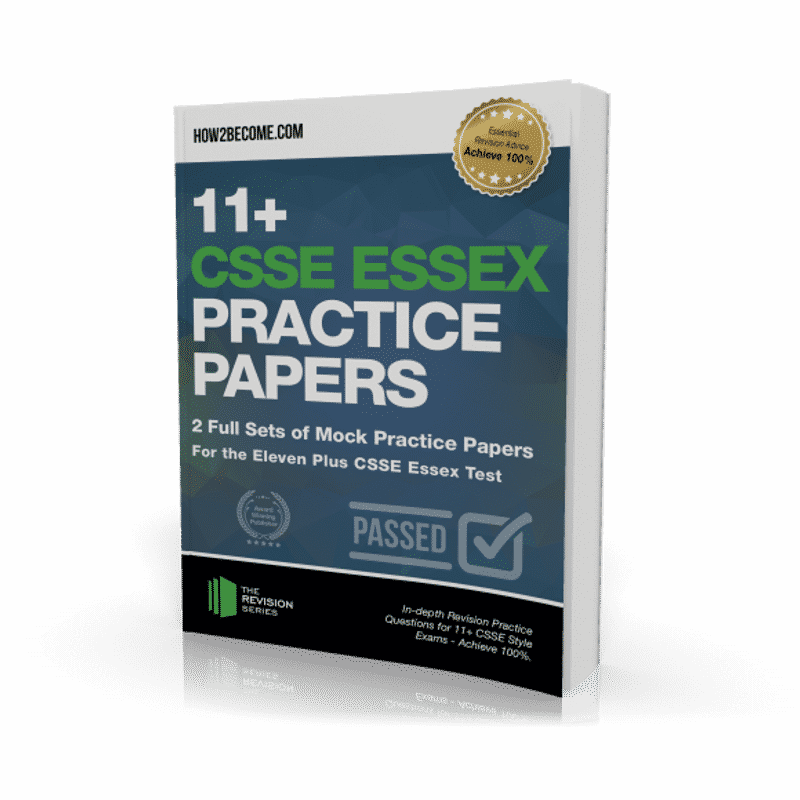 Therefore, we have crafted the ultimate practice papers workbook, designed to give your child more preparation materials for passing the CSSE 11+ Essex Test. 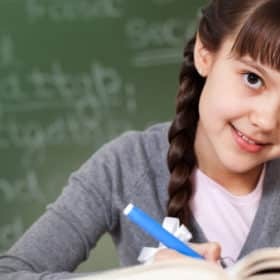 Complete the words using the same letter to end the first word and start the second word. How many grams are there in 6.5kg? Find five words that can be made using the word below. Each word must contain four letters. 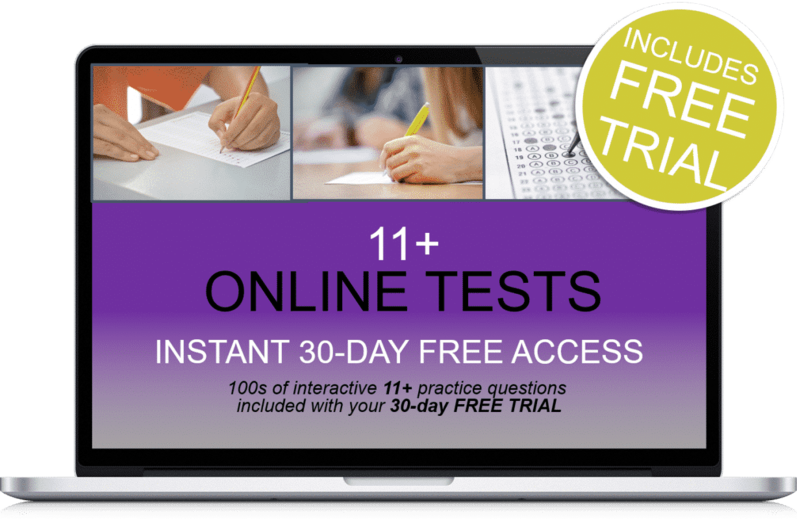 Answers and explanations for each question, meaning that you and your child can gain insight on how to approach even the trickiest questions in the CSSE 11+ test. 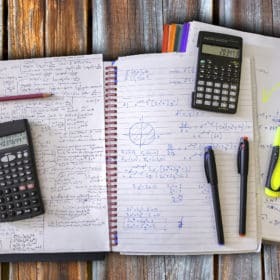 Top tips and advice for both parents and children; 2 FULL mock exams complete with the marking criteria and detailed answers.